Volunteers for the FIFA Confederations Cup Russia 2017 are in position to support the Tournament of Champions in every host city across Russia. The competition kicks-off tomorrow with hosts Russia taking on New Zealand in St. Petersburg. Courtyard by Marriott Nizhny Novgorod City Centre opened its doors in one of Russia’s most important historical city centres. Close to the business district and attractions, including the main pedestrian street Nizhegorodsky Kremlin, the hotel, the seventh Courtyard branded hotel in Russia offers 143 rooms including a Presidential Suite with its own private entrance. Basel Aer, a part of Russia’s largest industrial diversified group Basic Element, has said Sochi International Airport, a main gateway to the upcoming Formula One Russian Grand Prix, is planning to serve over 100,000 arriving and departing passengers before October 12th. Sochi International Airport is expecting to serve over 100,000 arriving and departing passengers from 30 countries on board over 650 flights including more than 70 charter flights from Great Britain, Italy, UAE, Switzerland, Ireland, Austria, Slovakia, Thailand, Bahrain and Turkey. 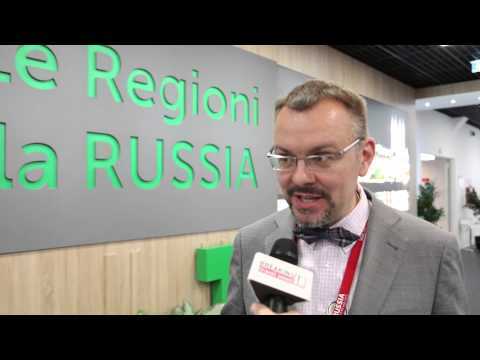 Breaking Travel News talks to Anton Atrashkin, president, Russia, Eventica as the second World Agroforum takes place on Russian Pavilion at Expo Milano 2015. Through this important international event, Russia seeks to lead the discussion and define priorities in global food security issues. There is a growing sense of confidence that 2011 will prove to be a steady to good year for business in Russia, according to a recent survey by DT Global Business Consulting. Whilst money might not be as easy as before the global downturn, Russia stands out as the fastest growth market in the CEE region above Turkey and Poland. The importance of removing travel barriers to facilitate tourist flows was top of the agenda during the recent visit of UNWTO Secretary-General, Taleb Rifai, to Russia. Meeting with deputy prime minister, Alexander Zhukov, Rifai praised the importance given to this question in the country. Russian wireless provider Yota is set to bring the cream of the creative community to St Petersburg in December with the launch of the Yota Space Festival. Running from December 5th-19th, the event will bring together the greatest contemporary digital artists in the world under one roof for the first time. TUI AG has confirmed it will move into the Russian travel market, as a part of a new $60 million joint venture with billionaire Alexei Mordashov. Operating under the TUI brand, the partnership seeks to control ten per cent of the market in three years, with 200 owned and franchised travel agencies planned. Henry (Hank) Ciaffone, President-International of Interstate Hotels and Resorts, and Boris Guretsky, General Director of Mospromstroi, have been named as the joint winners of the Lifetime Achievement Award at the forthcoming Russia & CIS Hotel Investment Conference.